The absence of recognition of Somaliland still has a deep effect on the State’s economy and international relations. Even as a political scientist, sovereignty is not something that captures a lot of my attention in the course of a normal day. But when I spent time in Somaliland, it's inescapable, and what it means to be seen – or not seen – as a state by the rest of the world is heatedly debated by people from all walks of life. 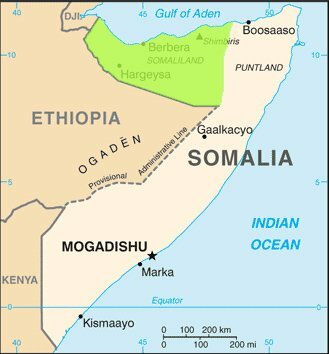 Somaliland proclaimed its independence from Somalia in 1991 but has never been officially recognised by any state despite exercising a reasonable level of territorial control and internal political legitimacy. In the past, the UN has advocated removing any mention of Somaliland's independence from its school curriculum, heated debate over the international body's legitimacy . More recently, the UN Development Programme (UNDP) insisted that the police uniforms it provided should be identical to those it provides for Puntland and in the south, which was also taken as a slight on Somaliland's claims of statehood, although the Government eventually accepted the uniforms. Meanwhile, when new head of the UN Assistance Mission in Somalia (UNSOM) visited Hargeisa this month, he was informed that UNSOM was not welcome in Somaliland . Sarah Phillips, a Senior Lecturer at Sydney University, is in Somaliland conducting research. She is grateful to the Developmental Leadership Program for funding. All photos by Sarah.